Breville did pretty well at the 2010 Australian International Design Awards. One hundred and eleven products made it into the finals, and of these 42 were given a Design Award in recognition of design excellence. 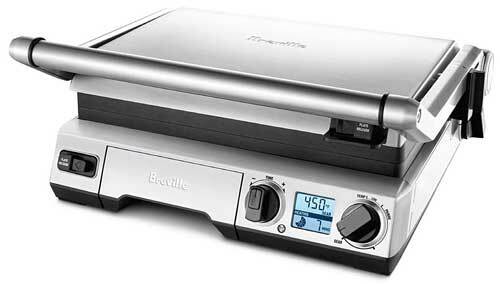 The star of Breville’s offerings, the Smart Grill BGR82, was one of those 42. Criteria for the award included innovation, visual and emotional appeal, functionality, quality of manufacture and environmental sustainability. The big trick of the Breville Smart Grill BGR820 is the Element IQ technology. This feature senses when cold food is placed on the grill, and has additional heat quickly given to the elements to help get the temperature back up quickly. Cleaning can be tricky with this type of grill, but the job is easy with the Breville Smart Grill, as the hotplates clip out, and are dishwasher-safe. The Breville Smart Grill BGR820 is available now, and has an RRP of $399.95.